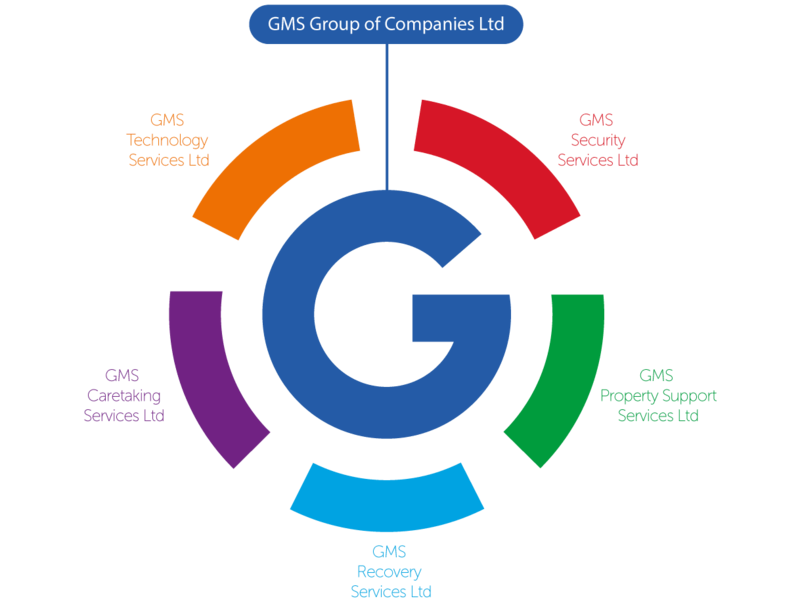 GMS are a holistic group of companies delivering a range of professional security, property, recovery and caretaking services across the UK. Based in the West Midlands GMS delivers excellence in every aspect of our business and are recognised for the calibre of our employees, reliability, integrity and our business ethos. GMS Security Services Ltd are the largest privately owned manned guarding company based in the West Midlands, and one of the top 30 security companies operating in the regulated security sector. Established as a security manned guarding business in 1997, GMS has grown and evolved to incorporate additional, complimentary services over the past 20 years. The GMS Group of companies is a family owned business, solely owned by the Male family. At GMS Group of Companies Ltd., it is our mission to become the leading national provider of security services. Established on the basis of mutual respect, integrity, honesty and diligence in developing key working relationships with both our customers and staff. We will ensure an innovative, bespoke and personable approach to our customers’ requirements. We will continue to challenge all of our business processes to achieve and exceed our customers’ & staff expectations and commercial key performance indicators set for the group. We shall continue to surpass our aims through delivering workable solutions to the continual delight of our customers. We are proud of the way in which we approach our business. Our customers are our partners and we endeavour to develop innovative, practical and workable solutions which not only add true value to your business but also add to the longevity of our partnership. We continually embrace leading technological applications in order to ensure that our customers benefit from a current, efficient and reliable service. Professional is a word over used within the industry but with GMS you are guaranteed more than words. Our service delivery speaks for itself.